Hi guys! How's your day going? I'm finally home from work enjoying my nail mail, watching netflix, and eating vanilla wafers. No judging my happy zone, eh. Haha. I love a good mail day, but no spoilers you'll see what I received roughly next week or so. Okay so I have a bit of a confession. I'm actually kind of nervous about all the double-posting that will be happening this week. 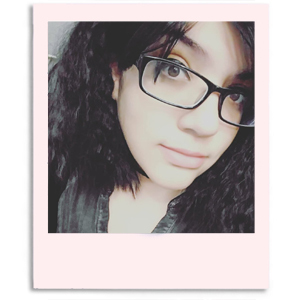 Really don't want you guys getting sick of me or anything like that. 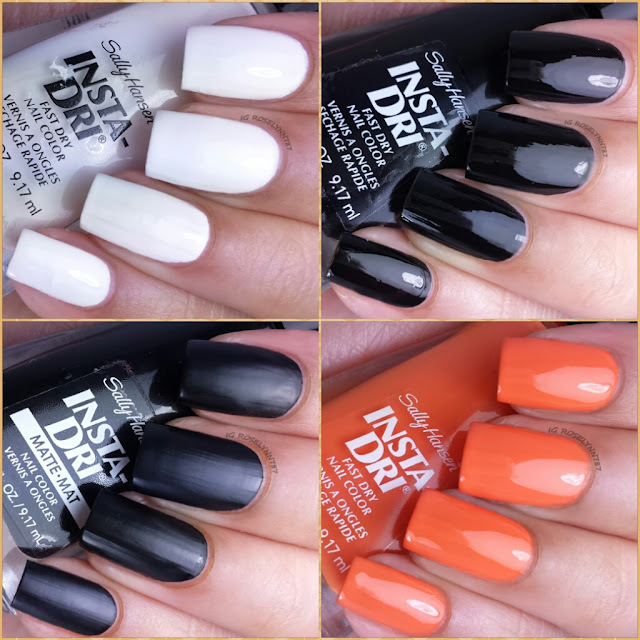 For today's afternoon post, I have the four Halloween polishes released by Sally Hansen for their Insta-Dri line. 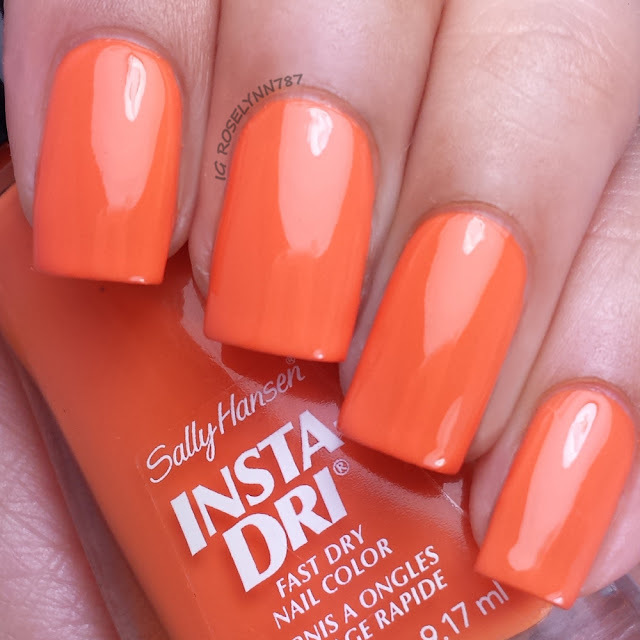 I have been a huge fan of the Sally Hansen Insta-Dri line for a long time and I have often mentioned them in my nail art posts. Needless to say, I was extremely excited to find out they released these limited edition Halloween-themed ones. As you can see above, these polishes are completely inspired by the traditional colors of the spooktastic Halloween. You'll definitely want to get your hands on these while you still can. Now let's take a closer look at these polishes. Omghost is a creamy solid white polish that dries to a glossy finish. It's the classic white with a fantastic formula. No streaking and only need two coats for full opacity. The thick flat brushes from the Insta-Dri brand allow for fuller strokes, which definitely helps in the application process. 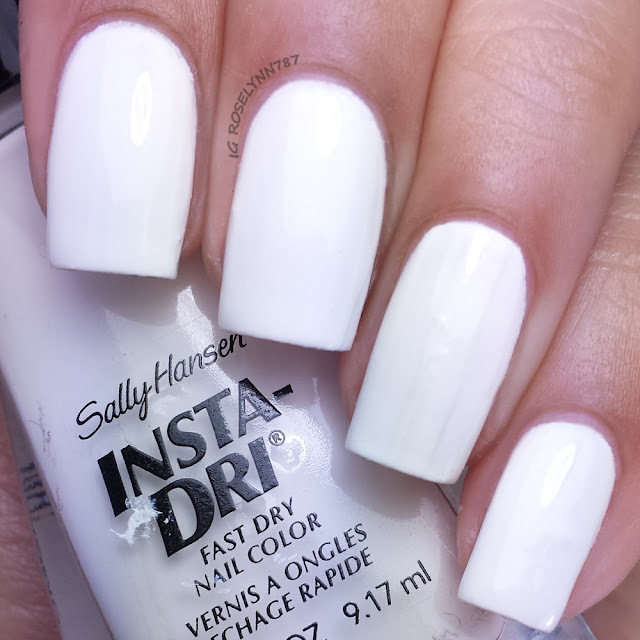 Certainly not replacing my favorite white by Sally Hansen, but it's a close second for sure. Night Fright is a super shiny black creme polish. This particular one definitely works better if you either layer a bit or use a base color. You'll get full opaque coverage with three thin coats, which is what I used for these swatches. I found this one to be a bit runny and caused me some cuticle flooding. Other than that, however, I didn't experience any issues when applying. 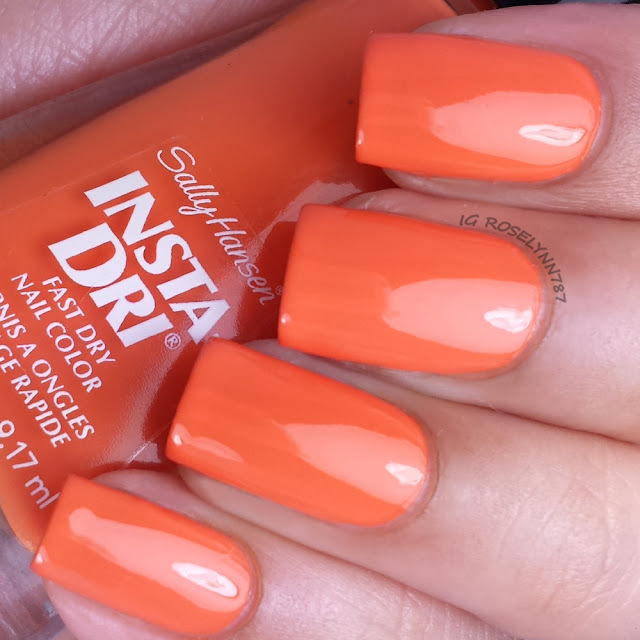 Pumpkin Queen is a orange creme that's opaque in just two thin coats. This one is definitely one of my favorites for the season. Absolutely love how it looks against my skin-tone as well. 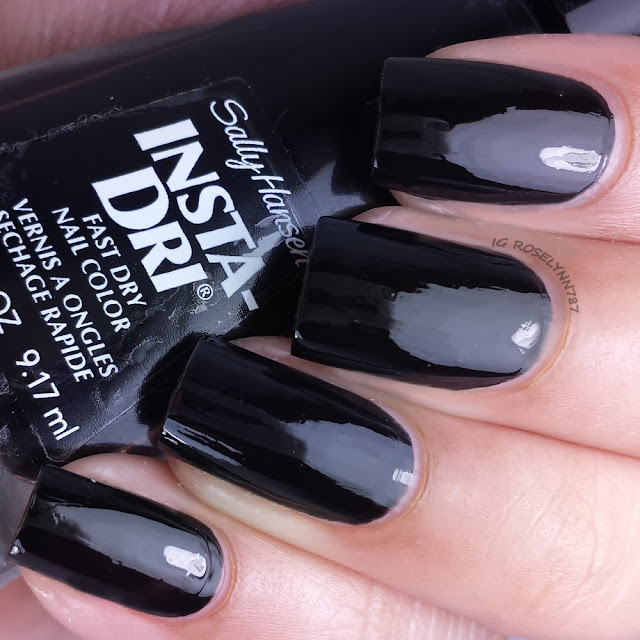 Great formula and consistency, I didn't experience any problems with the application. I'd like mention that I had no staining with this polish, neither on my nail bed or cuticles. That's a major plus in my book since last year I had a terrible orange stainer destroy my nails. 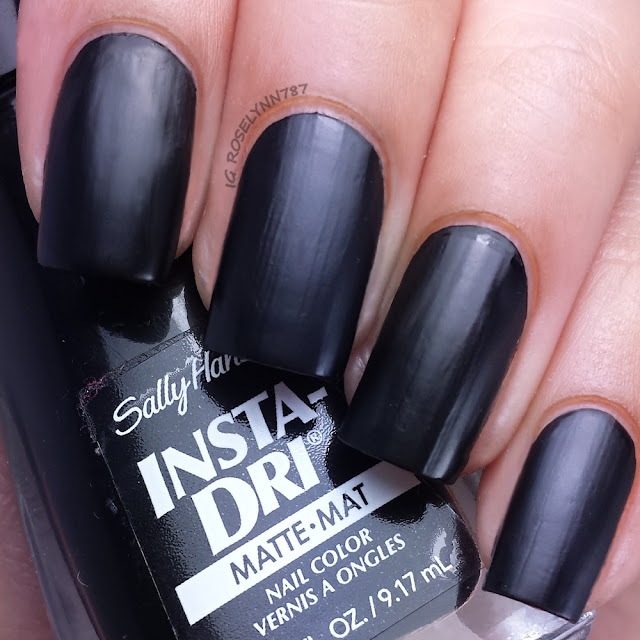 Scaredy is a black creme polish with a matte finish. As I've mentioned in other posts this month, there is just something about a black matte polish that screams Halloween for me. 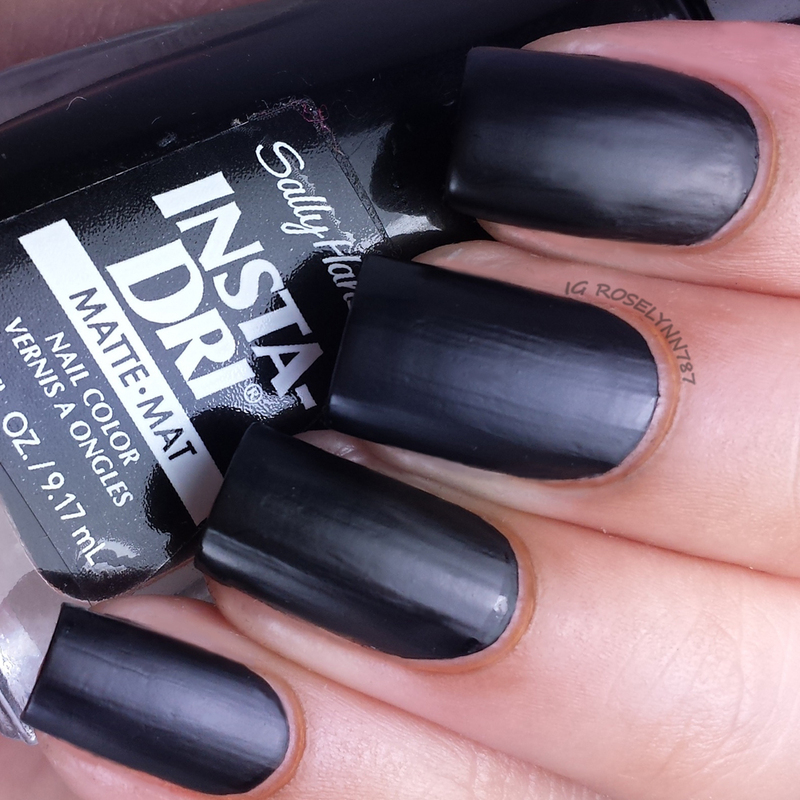 This has more or less the same application and formula as Night Fright, except it dries matte. I always mention how much I absolutely love Sally Hansen's Insta-Dri polishes for stamping. In fact, one of my most common asked questions is what white polish would I recommend for stamping. Look no further than Omghost by Sally Hansen. 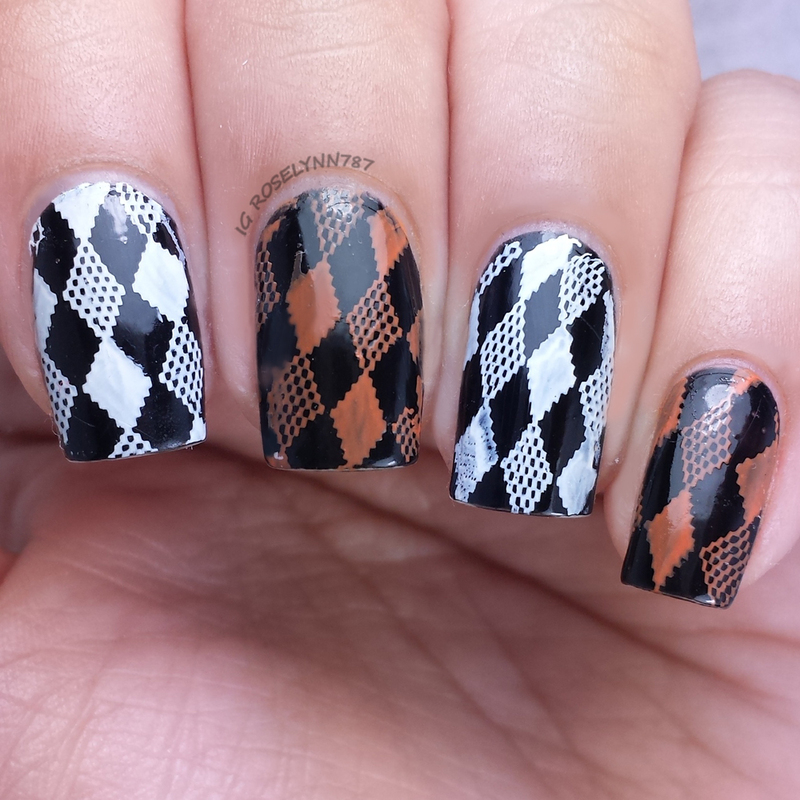 For this mani I used Omghost and Pumpkin Queen over Night Fright to do some cute stamping. Think ugly Halloween sweater, if such a thing exists haha. What do you think? 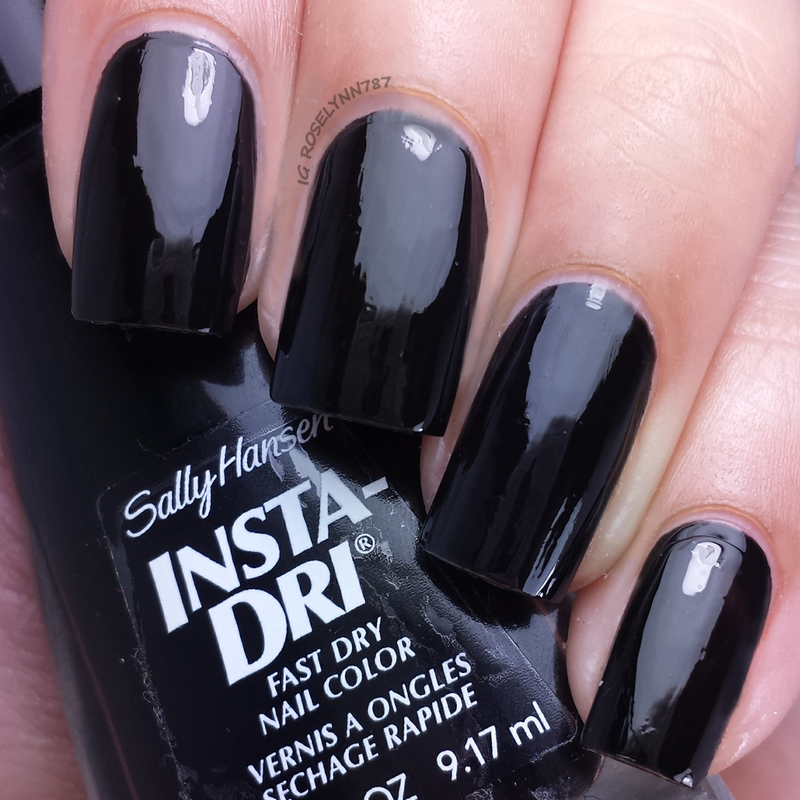 Overall these polishes uphold solidly to the Sally Hansen Insta-Dri line that I have collected over the years. You'll often see me speak very highly of this line of polishes and it's with very good reason. The creme formulas are great all around, apply very easily, and work really well with a majority of nail art. For those of you looking for stamping polishes, these are definitely some you can add to your collection. These retail for $4.99 each at your local drugstore or whatever Sally Hansen products are sold.